Close your eyes and imagine lying on a deck chair in the warm sun, the waves softly crashing near your toes, and the sound of Polynesian music drifting through the breeze. Now imagine celebrating Christmas in this paradise with your loved ones – feels like a dream doesn’t it? But it doesn’t have to be! On The Islands of Tahiti there is no shortage of places for your family to stay, with local guesthouses, private homes, resorts, and even private islands on offer. Tahiti Homes are your go-to when trying to find a fully equipped and furnished home for your trip – ensuring you not only have a gorgeous place to enjoy, but also one large enough to share with your nearest and dearest. Or if you really want to get away from it all, you can even camp across some of the islands. In the lead up to Christmas, there is also plenty to do around The Islands of Tahiti. Why not venture out on a hike to the peaks of the islands’ mountains, taking in the breathtaking views? Or you can take a dive into the islands’ pristine waters and spend the day exploring the abundance of marine life in the surrounding ocean. When Christmas Day comes around you will not be disappointed. The Islands of Tahiti know how to put on a show with the town centre of Papeete throwing a large tropical Christmas party that is bound to be a hit with the whole family. 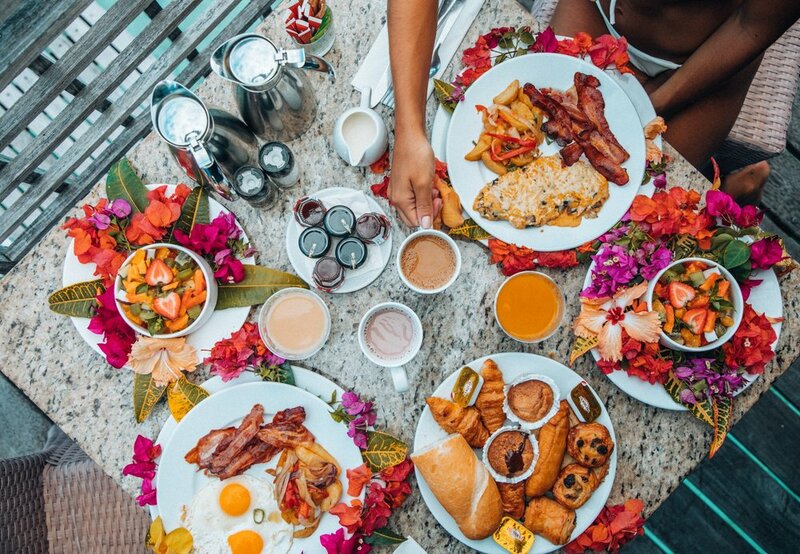 For the foodies in the family, the classic Christmas feast has not been forgotten, and most resorts across the islands put a Tahitian twist on traditional Christmas dishes. Whether you are looking to bring your traditional Christmas to a beautiful paradise or are planning on escaping the family, The Islands of Tahiti is the perfect location to spend the festive season.